July 2009 | Tired, Need Sleep. Then I waited. M watched me set everything up and then he would occasionally go over and look at it, but he wasn't doing anything. I think he is used to me telling him it's art time and what we are going to do. I was hoping he would just climb up and start creating something. Finally I said, "You can get up at the table and make a collage with those things if you want to." And he jumped up into the chair and got started right away. 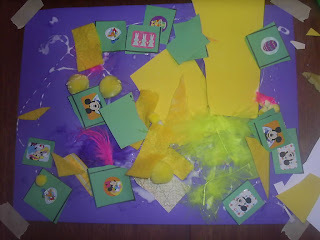 I tried to keep quiet, and for a while I reconciled myself to the idea that he was going to have a piece of paper with 3 little yellow pom-poms and puddles of glue all over. How fun! I am loving this! 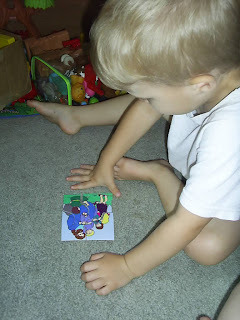 To see more open-ended art visit Teaching My Little BookWorm! 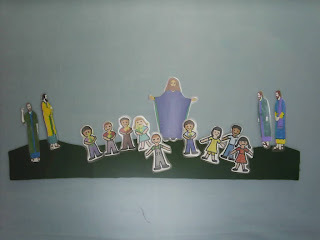 This week we read the story about Jesus receiving the children from our little Bible. I love this story, and it's a great way to remind children of how much they are loved - by Jesus, and us too! 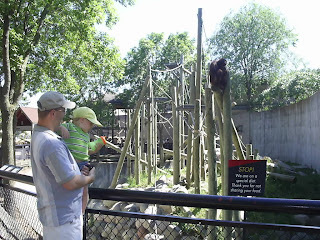 Unfortunately when Daddy came home, M said "Leave me alone so I can think!". Oops. 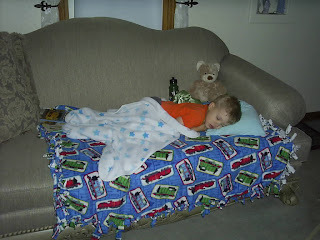 I think he may have gotten that from me. This story was a good reminder to me to be more patient and to always take time to let M know I love him. 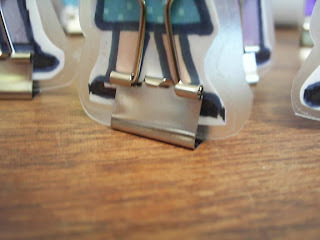 The tutorial for making these quick little puzzles is here. That was all we had time for on Friday (it was my 10 year wedding anniversary! ), but we did a couple more things throughout the week. We just basically retold the same story, but this little difference made it a big deal to M again and he had a lot of fun moving them around on the table instead of on the flannelboard. 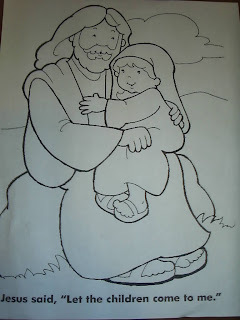 Then we painted a cute coloring page I printed off from somewhere (sorry, I can't remember, but there are a lot of good free coloring page websites out there). 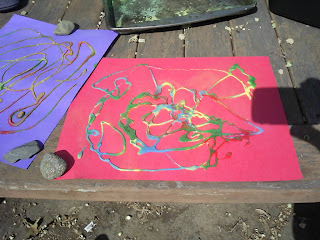 The idea was to paint it, then rub the back with oil to make it transparent and then make it into a suncatcher. Well, it didn't turn out like I hoped, so I will spare you a picture of the end product. However, here M is painting it, and that was a lot of fun! 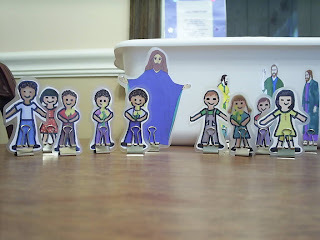 I hope this gives you some ideas of your own for bringing the love of Jesus to your little ones too! Natalie at Mouse Grows, Mouse Learns gave me two awards earlier this week! I am so honored! :) I love her blog and make sure to read it every day. Her daughter and my son are very close in age and it seems we share a lot of the same parenting philosophies, which I love. I started blogging a little over a month ago and have already met so many great people. 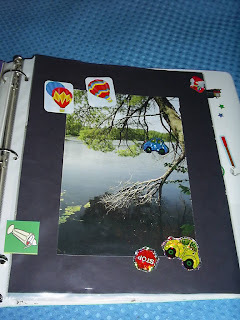 All of these have great ideas and have been very inspiring to me as a mom of a toddler/almost preschooler. I love them! 1. I have been married to my husband for 10 years, and truly love him more now than I did on our wedding day (and I loved him a lot then!). 2. We suffered with infertility problems and several miscarriages for the first half of our marriage. It took us 6 1/2 years to finally have M, and even though he is almost 3 years old I still think about what a miracle it is to have him every. single. day. This is probably a little bit of "oversharing", but I'm mentioning it because I think sometimes I come across as bubbly and happy (and silly) and it can be a turn off to some people. I'm no stranger to suffering and grieving and I have grown in innumerable ways because of it. I just try to keep this blog as light as possible, but it's not the full "me". 3. I have an internet addiction. I can, and do, live without watching much TV, but I don't think I could manage if I didn't have my laptop. 4.I'm an avid reader, I'm always reading a book, usually 2 or 3 at the same time. 5. I drink a lot of Coke. 6. I left a very good, full time job to stay home with my son. And somehow I am much busier now than I've ever been before. 7. I love to play sudoku. 8. I love spicy, spicy, really spicy food! 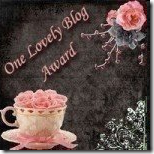 I'm off to leave messages for the blogs I'm giving the award to. Have a good night! 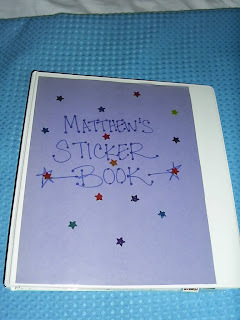 I've made a smaller version of this (using a small photo album - the kind grandmas carry in their purses :) ) for M to take on car trips and it's been great. He loved this one even more! It really looked much neater before he got his hands on it, but I didn't straighten it up before taking pictures because I wanted you to see how much he really loved it. He played with it for a long time and carried it around with him for days. The stickers (mostly) peel right off of the page protectors so they can be used again and again. 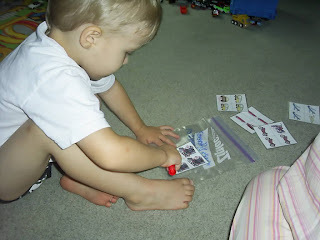 Obviously M didn't really care about the pictures, the fun for him was simply putting the stickers on and off. 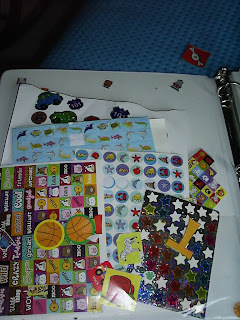 But for an older child there's a lot they can do with creating sticker scenes with the various backgrounds. 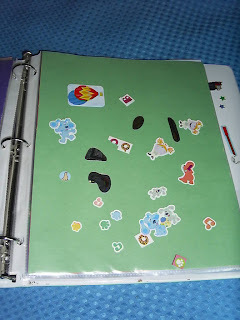 A tip for young children who have a hard time getting the stickers off by themselves: remove the sticky part on the sticker page that goes around the stickers and then show them how to bend the paper and peel off a sticker. It makes it sooo much easier for them! This was super simple to make, and actually a lot of fun for me too! And it's keeping him entertained, which is such a great thing for all of us! 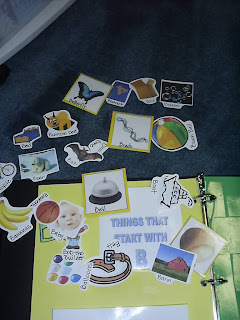 We have started making an ABC book. 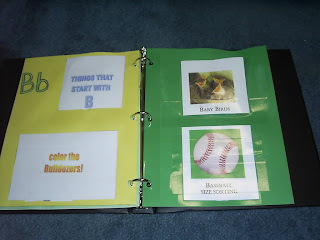 I had this idea of creating a couple of lapbook-type pages of activities for each letter. We did B first. This was actually done a few weeks ago, but I waited to blog about it because I wanted to make all the activities available to print if you would like to use them too! 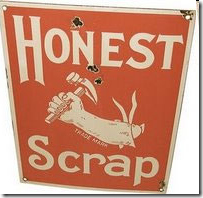 I'll give you the links to the .pdf files as I go through the page elements. Just click on the the picture of each activity (this does not include the letter craft picture) and you will be taken to the download page. I hope this is as fun for you as it has been for us! 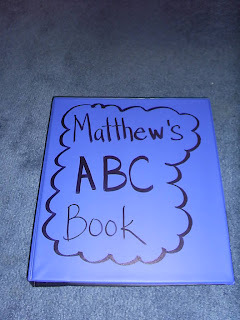 Please use them for whatever you like; you don't have to make an ABC book like ours if you don't want to, but you could use them to make your own lap books or just for tot school activities. If you do, let me know, I'd love to see what you've done! 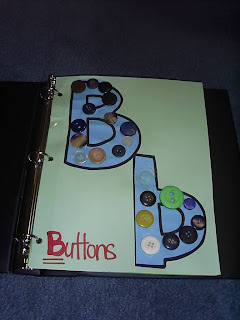 First, we did our letter craft, and glued buttons onto our Bb's. The templates for these are found here. Next we had the "Color the Bulldozers" pocket. M enjoyed this the most. I had each one labeled with a color to use, and the print was in that color (ex. red). 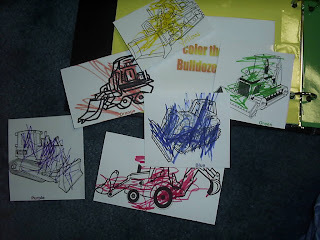 M was able to see which color to use and did it all on his own. He was very proud (so was Mommy). 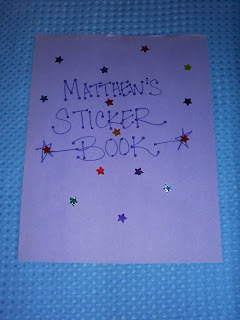 The next time I will laminate these and let him use his window markers to color them. That way we can clean them off and he can color them over and over. 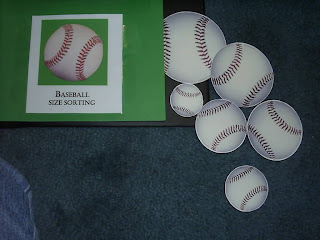 These activities were a fun way to practice other skills (colors, sizes, counting, etc.) while talking about the letter B and it's sound. It was a lot of fun! Letter F is up next! 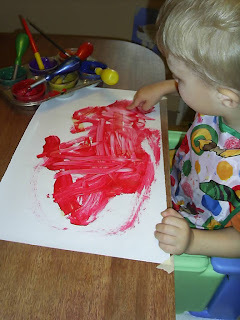 There's been a lot of this painting technique going on at other blogs and it's something I've been wanting to do with M for a while now. I really want to make his initial with it, but wanted to start off with a project where he just learns the basic technique. 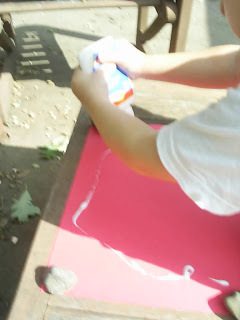 We used the shiny side of freezer paper to paint on. I knew the masking tape would peel off of this pretty easily. I'm wondering about using it on wax paper the same way. I bet the finished piece of art would look pretty hanging in a window! 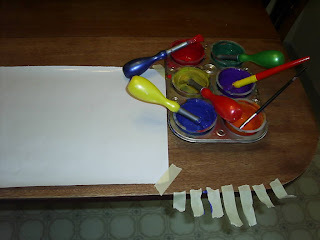 First, it's always a good idea to tape the paper to the work surface. 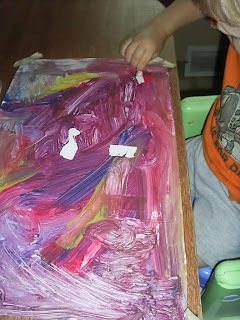 It just makes any kind of art so much easier for little hands. 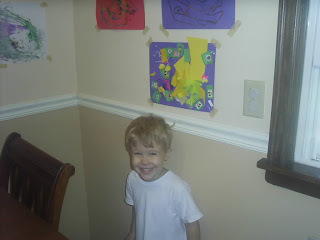 Then tear off several pieces of masking tape and stick them where your child will be able to get at them easily. 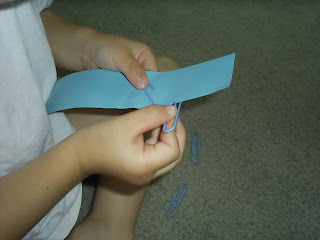 Explain how to put the tape on the paper in any design they want, or just randomly. 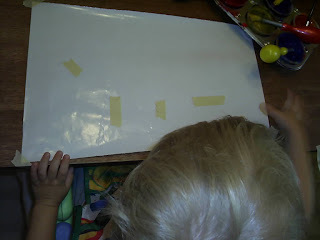 At first M wanted to put the tape on the edge of the paper, as if he were taping the paper down. I had to show him that I wanted him to put the tape in the middle of the paper. Next - paint, paint, paint! Let them do this as long as they want, and ask them to try to cover the entire piece of paper. 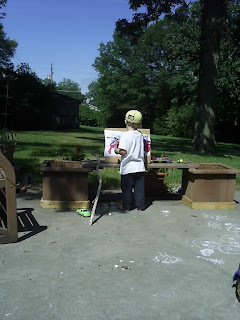 M was very proud of himself when he got every little inch covered in paint. Then have them pull the pieces of tape off. You will probably have to start each piece for them. Hold the page up to the light if you are wondering if you've got them all. You'll be able to see the tape outlined if there is any left. 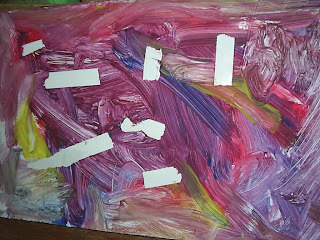 It's a neat surprise for the child to realize what they've done, that they kept some of the page white by putting the tape on before painting. 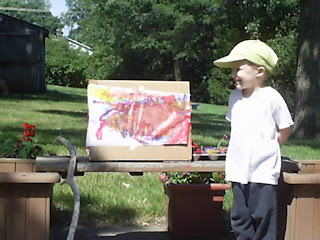 It's beautiful to do with watercolors on watercolor paper, but we used regular tempera paints today. 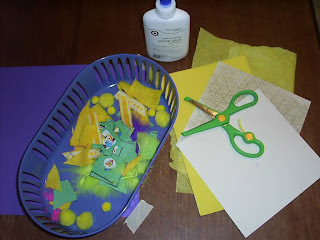 There's a lot of variety with this technique - you can use shapes cut from contact paper, or color with a white crayon and make a "mystery design". Your last month as a 2 year old is upon us. I don't know why people call it the terrible twos - you have been nothing but a joy. Well, ok, you've had your moments, but they are so easily forgotten and really, thankfully there haven't been *that* many. Your little tractor (your favorite toy) finally broke down. It literally fell apart. I couldn't bring myself to throw it away, so I guess we are keeping its remains. I hope someday when we come across it we can remember you at 2 a little more vividly than we would without it. You have a new tractor now. Ok, here's a secret... it's not really a tractor. It's a John Deere 4-wheeler. But you don't know that... yet. It's your tractor and you mow the living room daily with it. But it's just not the same as the beloved old tractor. You have started saying "I love you" quite often and it brings tears to my eyes just to think about it. I can't believe how quickly time has gone by. You are becoming your own person now... not just my baby. I don't know everything about you. I know most of it, and more than anyone else, but not all. You surprise me sometimes with just how much you know, how sweet your heart really is, how much you understand of what goes on around you. And how deeply you feel. Especially this. 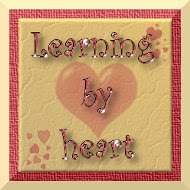 You are a lesson in love for me... and sometimes I am not a very good student. I know I say things that hurt you, I'm impatient with you, I'm often very selfish. You want so little, just love and attention and gentleness. I'm trying, and I do love you (so very, very much), but I guess you are learning that even Mommy isn't perfect and needs to be forgiven sometimes. It's much harder work than I imagined it would be, this parenting thing... but the rewards are huge. I would not change a thing about you. I love you. I love you. I love you. It seems like we did a lot of Tot School this week. 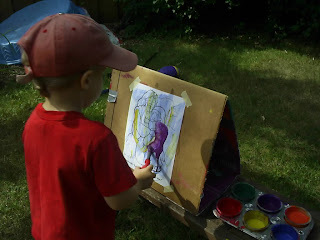 I mentioned in an earlier post that we are trying to pare down our summer activities, and one of the happy results has been more time to spend on Tot School, which both M and I love. We went away last weekend and spent some time in our camper. 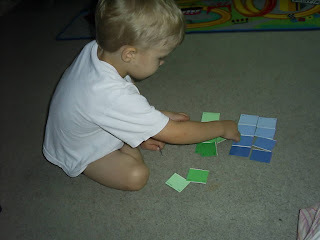 Here he is making his little whiteboard (we keep it there) into a matching game. 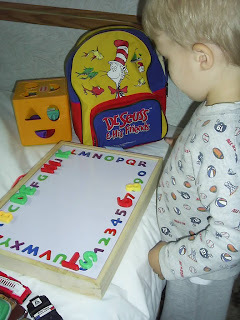 It has the alphabet printed around it and he is using magnetic letters to match them. He came up with this on his own. I was so proud! 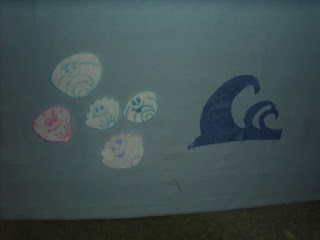 We did a new feltboard poem - 5 Little Seashells- which I downloaded from The Mailbox. He is really into the feltboard lately, which makes me very happy. He worked on these cards I printed up and laminated from here. They are transportation same/different cards. One picture is a little different and you are supposed to circle it. He did this no problem. I wasn't sure if he would "get it", but I needn't have worried. By the way, we use Crayola's Window Markers for anything we write on that's been laminated. They work so much better than dry erase markers. And when you wipe them clean they look like new again. 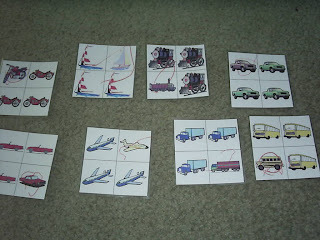 He did some transportation Melissa and Doug puzzles. 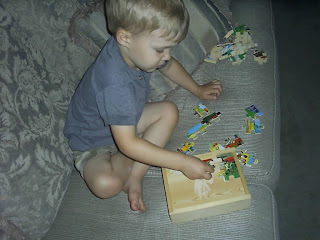 They are wooden 12 piece puzzles and he does them completely on his own. 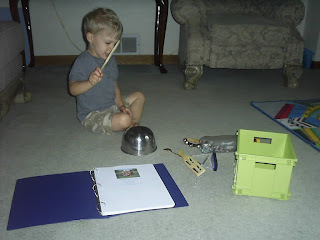 We sang songs from our songbook, and made music with our instruments. This is a very noisy, pretty un-musical-sounding, activity when you actually do it, but it sure is fun! 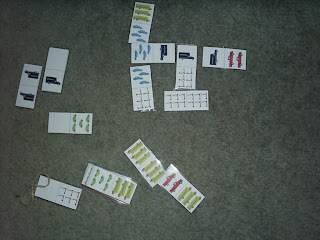 I put together another quick ABC matching game one afternoon. 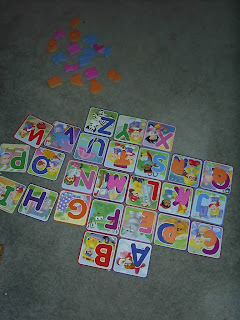 We took the foam letters out of our ABC puzzle and matched them up with some ABC flashcards (I'm not a big fan of flashcards, but these were a gift and M loves them). That's it for this week. 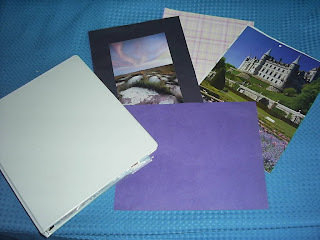 I'm trying to pull together some new activities for this coming week. Hope you all had a great week too! 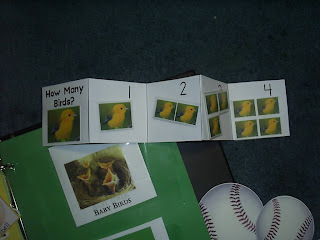 For more Tot School ideas go to 1+1+1=1! This project is a lot of fun. We did this same thing last fall... inside. What a mistake that was. I'm ok about some messiness, but that took messiness to a whole new level. Anyway, I wanted to do it again, and this time we took it all outside. That's really where sand belongs anyway, isn't it? Please excuse my messy patio. How is it I never see what needs to be done until I've taken pictures of it? Actually, the picture doesn't show it, but we ended up putting the paper in a shallow pan to catch the extra sand. The rocks are to hold it down. Give your child the glue bottle. Chances are they'll know exactly what to do from there (sorry the picture is blurry). It looks pretty just like that, doesn't it? Shake the sand off, and let your masterpiece dry. 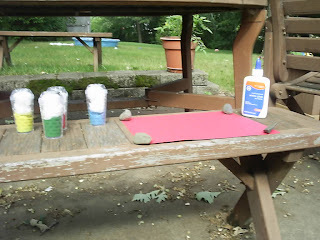 It's fun and the clean up was pretty easy - take the extra sand to the sandbox and dump it in. 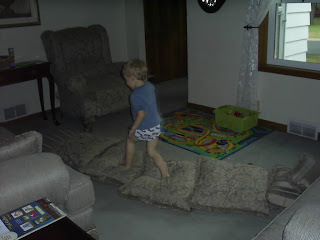 :) M loved doing this and it was the first thing he showed to Daddy when Daddy came home. 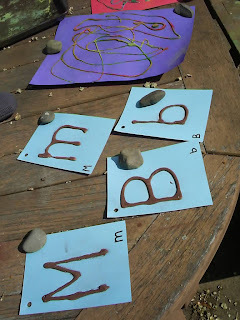 While M was doing this I made some sand letter cards to use when we are learning letters. 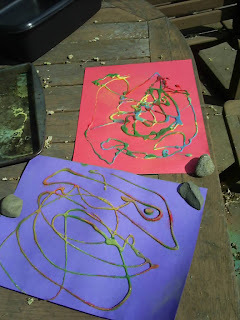 M has been asking me to help him write letters, and I thought tracing these with his fingers would be a good way to start learning how they are shaped. 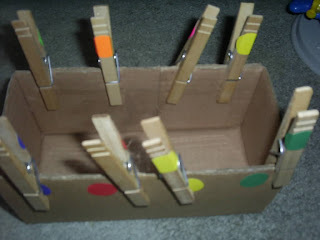 Montessori teachers have sandpaper letters that they use for this. These are no where near the same quality, but hopefully will be helpful anyway!